Games are, at their most basic, little more than systems of rules; systems of conjunctions, disjunctions, conditionals, biconditionals and relations that provide structure to and set out the way in which a player is able to interact with the world. Using such-and-such an item will lead to an increase in a player character’s health; combining two items will lead to the production of another sort of item; walking and running are actions of a similar type and thus are bound to the same analogue stick on a controller: these are the sorts of patterns and relations that gamers are conditioned to seek out in order to make sense of the diverse worlds into which games can take a player. The inclusion of elements of randomness into game systems that seem to be, on the face of it, ordered seems, then, a point undermining the basic building-blocks of games: systematic question-and-response-type expectations of receiving the same output for any given input. Including randomness in games seems to completely and utterly undermine any reasonable expectations the player may have as to their game experience. Final Fantasy VII employed random number generation in determination of enemy location and item drops. The sorts of games that tend to employ a mechanic including elements of randomness tend to be within the genus of role-playing games, with Japanese titles tending towards a greater inclination towards elements of randomness than modern Western RPGs. 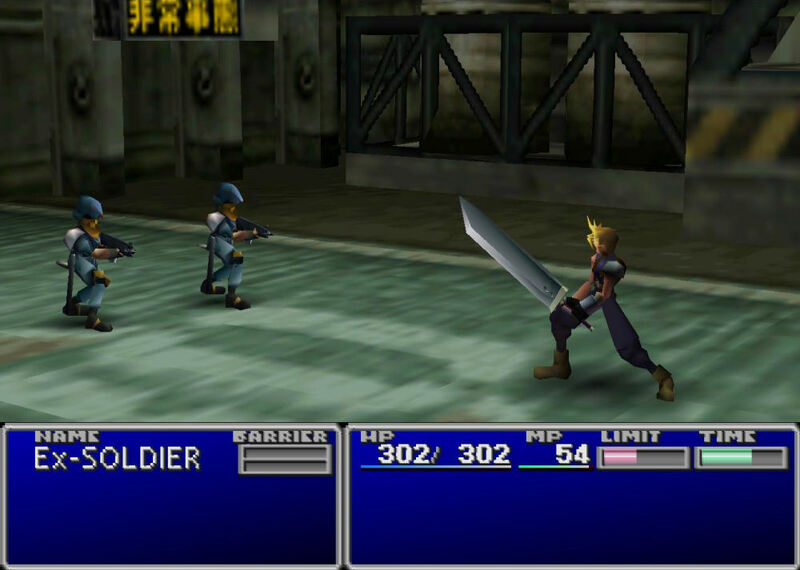 Taking Final Fantasy VII as an exemplar of the inclusion of elements of non-deterministic decision mechanics in JRPGs, two key points of “randomness” can be identified: the encounters with enemies that occur on the world map and the type and quantity of items that enemies will drop upon their defeat. Encounters on the world map are random in that there is no apparent warning as to when they will happen and thus the player is powerless (save for any in-game abilities that prevent such encounters from taking place) to actually identify when such battles will occur or indeed to seek to avoid them. The randomness apparent in the dropping of items takes the form of, in non-scripted enemy battles such as the boss fights that take such a central role in the Final Fantasy universe, a random number generator determining whether, in the first instance, a defeated enemy does drop any item at all and, in the second instance, the type of item to be dropped. Western RPGs based upon a pen-and-paper RPG ruleset, such as Baldur’s Gate and Icewind Dale, and The Elder Scrolls: Morrowind also had random number generation employed to determine the outcome of combat based upon player statistics combined with simulated dice rolls, but such an approach seems to have been supplanted by a preference for more real-time action in more recent releases. Modern loot-’em-ups such as Borderlands and its sequel have used random number generators as a constituent part of the procedural weapon generation mechanisms that formed the basis of the marketing campaigns for both titles, being hard as it is to resist the potential of a game offering a range of weapons differing in type, damage, rate of fire and many other statistics numbering in the hundreds of thousands. The key virtue that the inclusion of randomness offers is simply that promise of perhaps enhanced game longevity by virtue of the greater level of variety that can be afforded to the player by virtue of each instance of combat or generation of an item by the game being different in some way. It may be that the Final Fantasy player desperately wants an item that only defeating a certain enemy can provide to them. Given that the game’s item distribution mechanic is premised strongly upon the balance of probability providing the answer as to whether the player will gain a certain item for defeating a particular enemy, it follows that, if the chance is low enough, the player may have to undergo more combat against this certain type of enemy (with the random generation of enemy encounters providing a further impediment by not guaranteeing that the right type of enemy will be facing the player in any encounter) in order to obtain whatever the item that they seek is. Cynically, such processes provide a cheap way for the developers of a title to squeeze more play out of the cog in the corporate wheel that is the customer and player of the game. The use of random enemy encounters also increases, on a fairly shallow analysis, the replay value of a title by allowing for a marketing department to legitimately say that no two playthroughs would be the same, no matter how linear the game truly is. Dicerolls are for neckbeards, and neckbeards only. While the inclusion of pseudo-random game mechanics may lavish us with the benefits described above, there’s something to be said for a more level-headed approach to analysis than the desire of 2K or Squaresoft’s PR department to shift a few more units on the back of fundamentally broken mechanics. The sort of randomness employed in Final Fantasy VII leads to nothing but turning a game in a genre that already has a reputation for being somewhat bogged down in the quest for ever-higher levels rather than any real story development into an exercise that could compete with MMORPGs for the grindfest crown. Given that the player is never aware of what enemies they will encounter or the items that these enemies will drop, hours can be spent in an attempt to gain what they need from this particular exercise. Combining this with the frequency of random encounters when traversing the world map, it does the pacing of the game no favours: whether it’s the mere stopping-and-starting that exploration becomes or the time spent grinding for items, the story ceases until the player moves past the particular element of grind that they are currently partaking in. 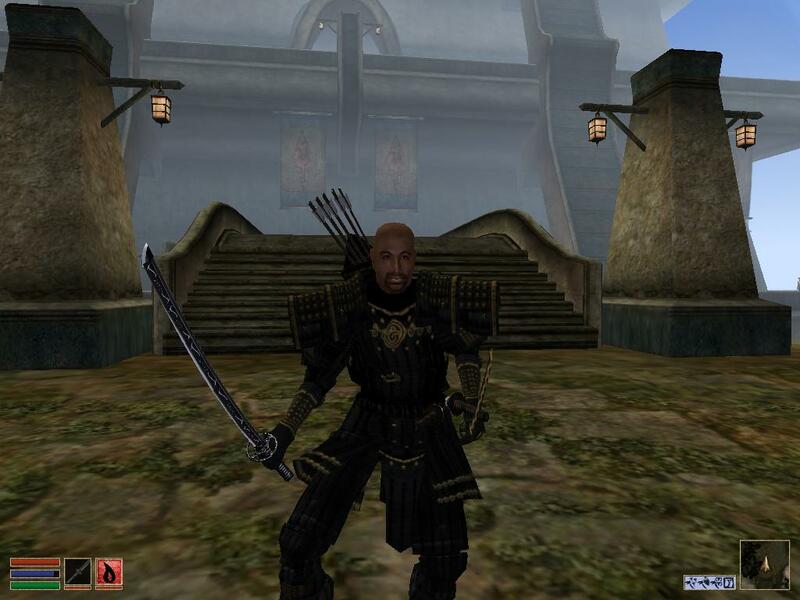 In the Western RPG world, Morrowind‘s dice roll based combat made the first part of the game virtually unplayable for anyone but those with the greatest of foresight to put skill points into the combat-oriented abilities. The wise fellow with a curious level of agility? He’s fucked. Borderlands’ inclusion of randomness in the generation of weapons is perhaps the most conspicuously potentially gamebreaking implementation of randomness of the examples given: if a player near the beginning of the game has the good fortune to stumble across a weapon that is overpowered for its early stages, all challenge practically evaporates from the title. The thrill of hunting around the landscape for hidden weapons caches is lost once one realises that that which they have already will, on the balance of probability employed by the game, not surpass what they have now, or perhaps even throughout the game. Procedural generation of content is a wonderful idea, and one that will have a role to play in moving video game stories past the overly scripted world that they inhabit now, but implemented in this manner do have the capability to erase all challenge from what is otherwise an incredibly engaging game. Our game worlds constructed from our logical relations, our deterministic rules, crumble under the weight of even the most mundane of stochastic variation for what is essentially a practical reason: introducing a small amount of randomness increases exponentially the amount of quality assurance and testing work that would have to be done to completely ensure that the chance-based mechanics do not break the game in some way. We move from talking about one or two possibilities for player interaction and events to talking about a potentially infinite amount dependent upon the granularity of the mathematical equation involved. Dynamic content generation is something that will redefine video games, but we are not particularly good at it right now.